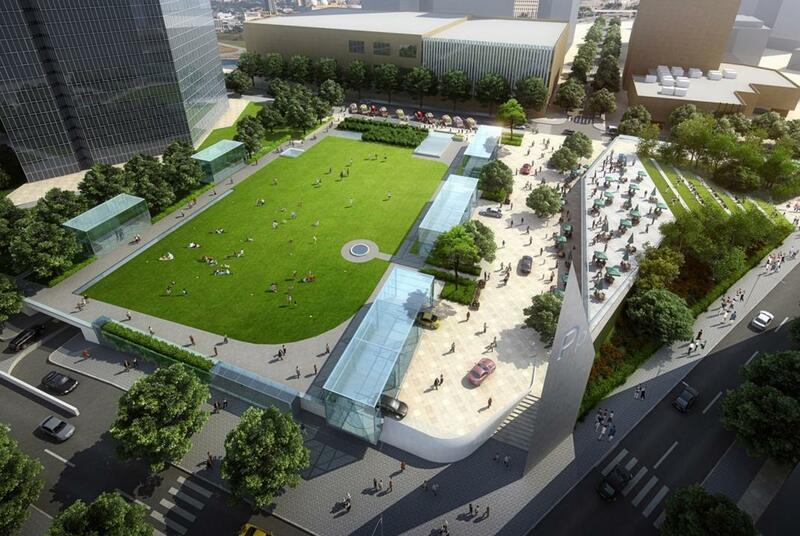 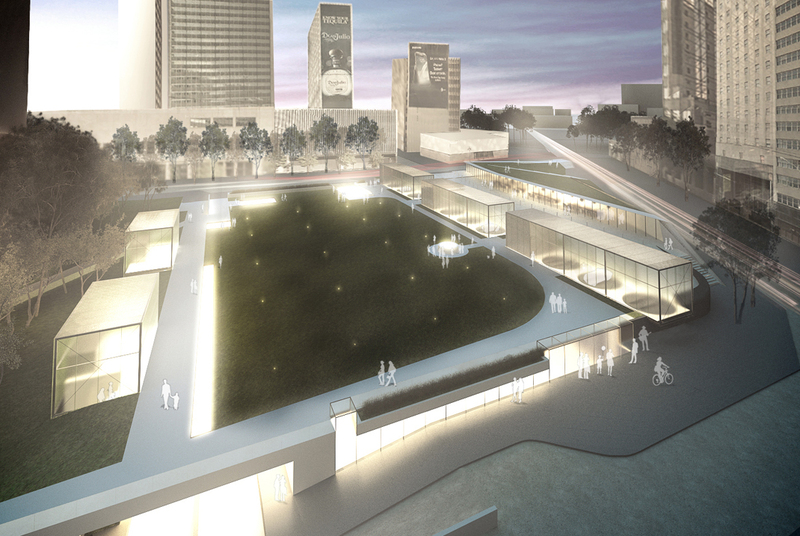 The Parks and Recreation Department currently owns five acres in downtown Dallas for which there is no funding strategy to build a park. 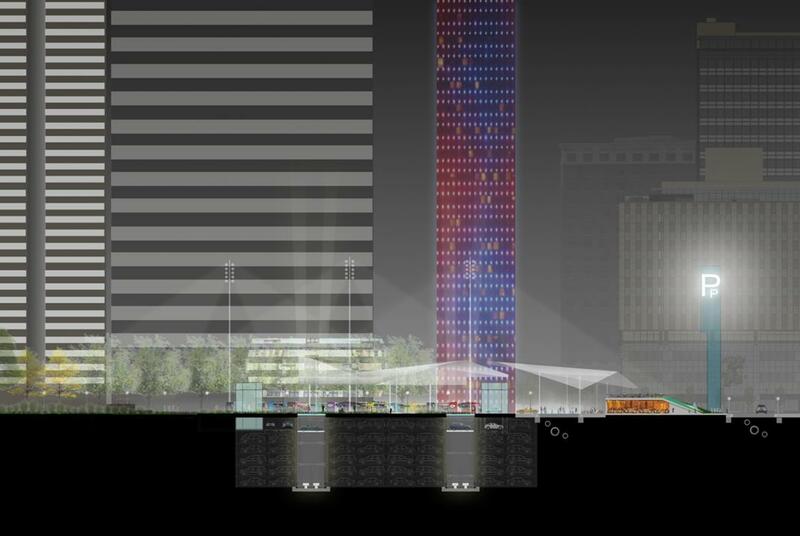 Kevin Sloan Studio is the lead planner and landscape architect for a team of collaborators who have developed a new prototype for realizing public space with an automated parking system under the park. 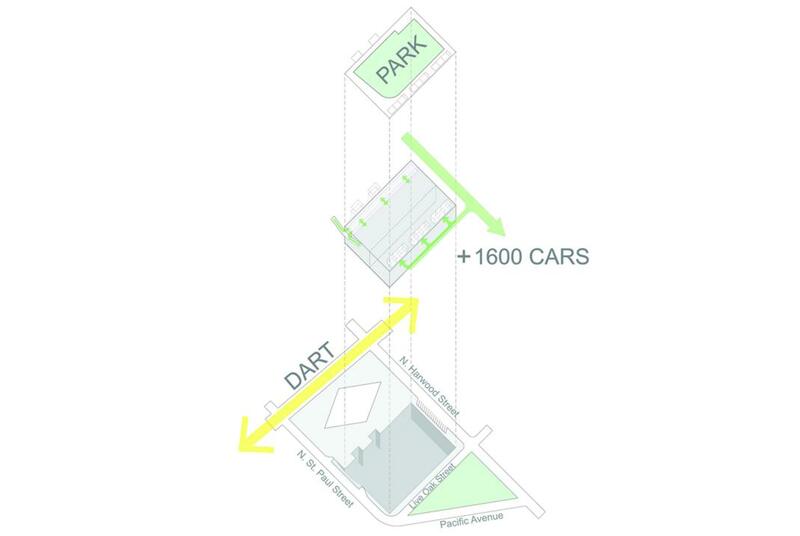 The automated parking generates activity and revenue by mingling cars with pedestrians and the potential restaurant patrons from a landform building, in a paved plaza. 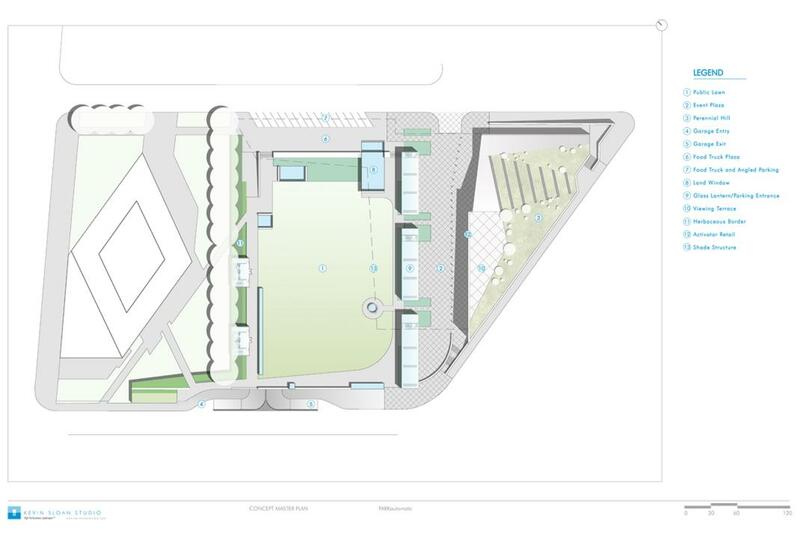 A contrasting public lawn - approximately the size of Bryant Park in NYC – is interspersed with viewing windows that reveal the machinations of the car sorter to the park where activities remain uninterrupted.